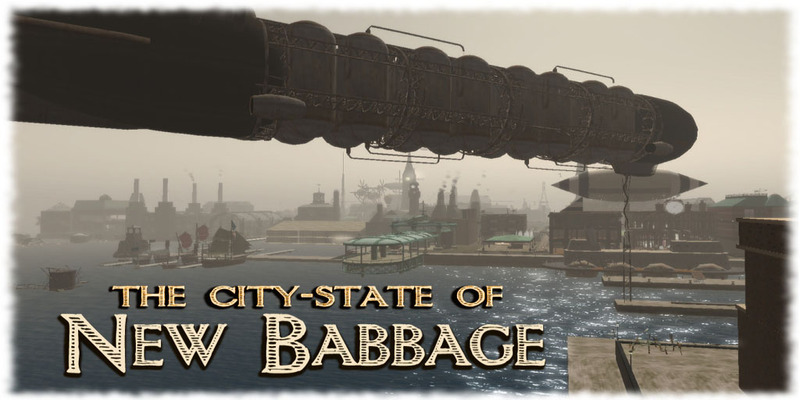 We are pleased to announce we have sailed into our next port of call: New Babbage! Do you like Steam Punk? Then you are in luck as there is no better sim with the Steam Punk theme than New Babbage! A wonderful place to explore (some of the best builds in SL), events, and friendly people. You will find it all at New Babbage. Just visit our gangway and click on the sign to disembark. Just be sure to return before we sail on to our next port of call!